Singer-composer-bandleader Daymé Arocena makes her Boston debut Friday at the Institute of Contemporary Art. Daymé Arocena, the 25-year-old singer, composer, and bandleader who is the newest international sensation in Cuba’s rich history of musical brilliance, always had a tendency to do things her own way. “Even when I was at the music conservatory, I used to take my piano tests with my own compositions,” Arocena says. Like many young Cubans with musical talent, the daughter of a working-class family in Havana entered conservatory as a child, where she studied choir conducting: “Beethoven, Mozart, Schubert, that type of stuff,” she says. But Arocena’s career after music school has traveled a different path. She sang with local hip-hop projects. She connected with Jane Bunnett, the Canadian saxophonist and bandleader who has worked with Cuban musicians for decades, and who brought her to Toronto for her first performances outside the island. And an open-mike call by a group of international producers visiting Havana led to a collaboration with Gilles Peterson, the famous London DJ and founder of the Brownswood independent label. Arocena’s 2015 debut album, “Nueva Era,” was an original statement: Afro-Cuban roots music transposed into the kind of sophisticated, future-soul frame for which Peterson is known. Her follow-up album, this year’s “Cubafonía,” is in a sense the return journey. It finds Arocena digging into the many rhythms and genres of the Cuban canon with a traditionalist’s archival instinct, yet interspersing the rumba, guajira, and changüí tracks with loping jazz tunes and some languorous Latin-soul ballads. For all its diversity, “Cubafonía” is a resolutely Cuban record, not just musically, but in its cultural references. It opens with “Eleggua,” an invocation of the orisha of that name, the spirit of paths and crossroads in the Santería religion that Arocena practices. It closes with “Valentine,” a lilting, rustic tune in the changüí style from eastern Cuba, with a flute line darting among the vocal harmonies as if rustling through the sugar cane. Making the record took research, Arocena says. “We have all these genres, but people don’t play them anymore. People don’t want to play tango congo, or old rumba, or guajira. I had to go to the tradition, to the people that really know, and then try to mix the music I write with that background. Because if you want to change something, arrange it, move it forward, first you have to know exactly what is the way to make it.” Bassist Gaston Hoya and saxophonist Emir Santa Cruz, veterans of Chucho Valdes’s bands, were among those she consulted, along with big-band leader Joaquín Betancourt. 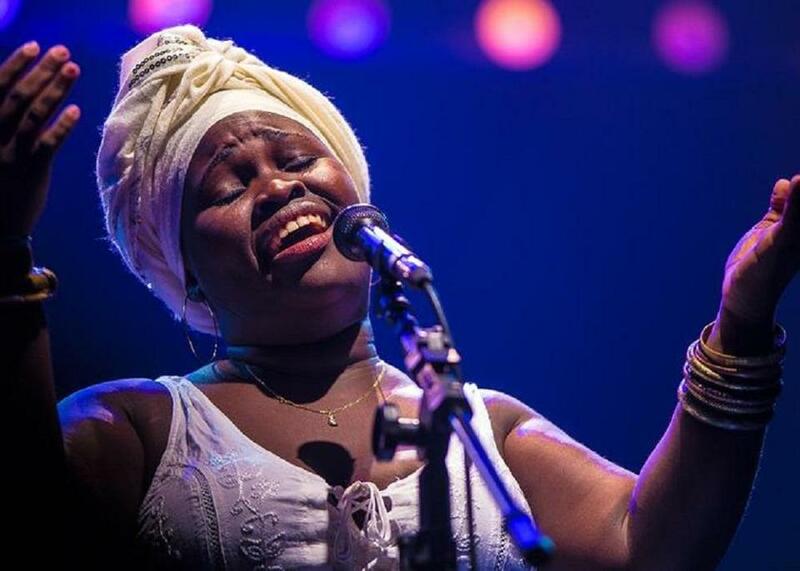 Since her appearance at SXSW in 2016, more US audiences have had the chance to experience Arocena’s voice, including at this year’s Winter JazzFest in New York and the New Orleans Jazz and Heritage Festival, where Cuba was a spotlight country. Her current tour, however, comes at a moment of renewed diplomatic tension, with the US government signaling it may reverse some of the opening toward Cuba that came when the Obama administration restored diplomatic relations. The implications for musicians are uncertain. Earlier they often faced a wrenching choice: to stay in Cuba with its daily struggles and the limited reach of its music industry, or to emigrate. The jazz virtuosos Yosvany Terry, Dafnís Prieto, and Pedrito Martínez, for instance, all made the latter choice. Since the improvement in relations, however, living in Havana while making an impact in the US market has been more realistic.